This experience is part of an organization born from a family of fishermen. They started this project to showcase how traditional fishing methods in the Mediterranean are still alive and well in a quiet corner of the city known as Barceloneta. Discover firsthand this unknown part of the city where you'll support sustainable fisheries, sip sparkling wine with fishermen, hear their stories and learn the beauty of creating a relationship with your vendors. 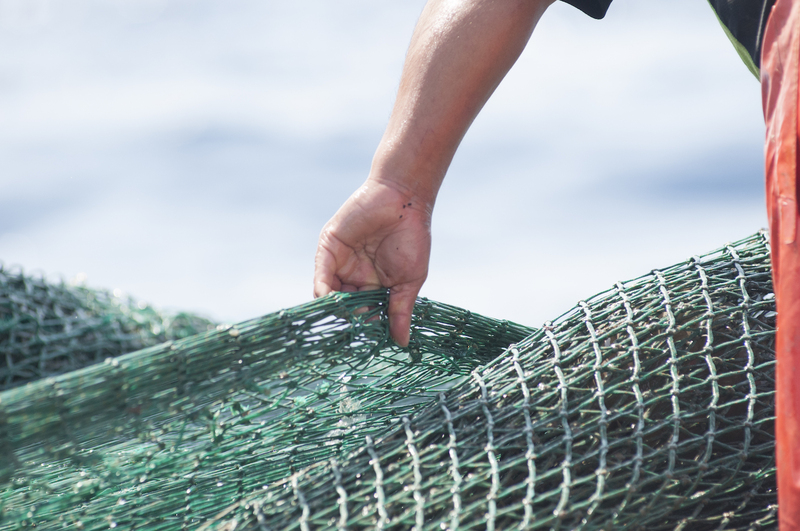 You'll be supporting this organization born from a family of fishermen in 'Barceloneta'. You're here to pass on the maritime cultural heritage baton along to wherever you go. You'll support locals and the organization reclaim their origins and their know-how. Learn practical information that will help you become a more discerning and responsible consumer. • Participants: 1-6. Larger groups can also be arranged. • Includes cava (local sparkling wine) and water. On this tour you'll discover an unknown part of the city and learn practical information that will help you become a more discerning consumer. By learning about the traditional methods of fishing, you'll also contribute to the long-term viability of this profession and help spread awareness of its importance to local economy. This is quite a special tour as you get to experience first hand how fishmongers work, their boats, it's a great opportunity to have a one to one conversation, these guys work really hard and they're open to sharing their fishing techniques and stories. You'll visit the fisherman's harbour, walk through the port and meet the fishmongers. With your guide you will discover how this charming and local maritime culture has shaped Barcelona into what it is today. You'll also get to visit the fish market where you'll get to talk to the vendors and you'll get tips on how to pick the best and freshest fish available! This experience is part of an organization born from a family of fishermen in 'Barceloneta', and as heirs of this tradition they want to help preserve and share their knowledge of this amazing cultural heritage which is many times forgotten. 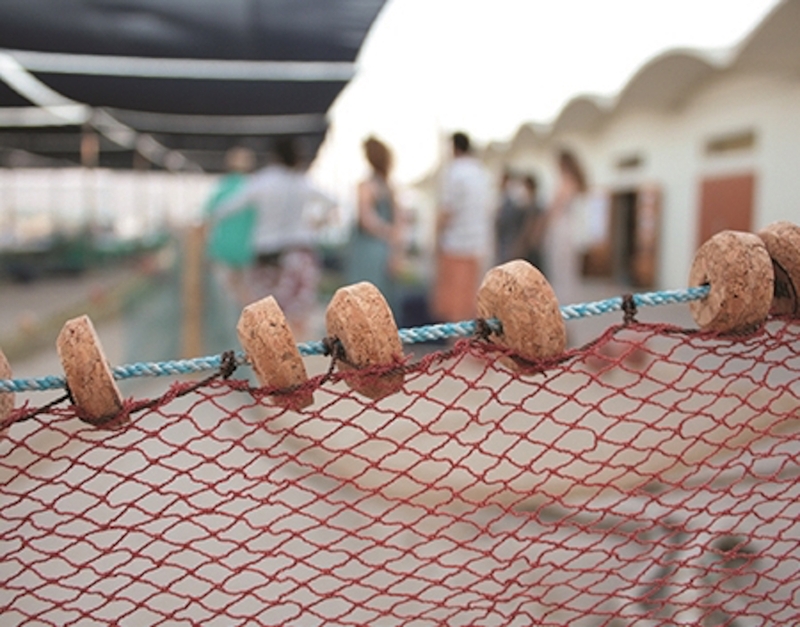 They aim to reclaim their origins and their fishing neighbourhood 'Barceloneta' in the Mediterranean. They want to show locals and visitors that they can reclaim it too, they want them to feel this place as their own, to get to know it and value it for what it is and not by the conflicts its been known for. This was our first experience after arriving in Barcelona. For us we enjoy the seafood and eating and so learning about how the industry works is fun. Biggest surprise is learning how few people are employed in the primary and secondary industry and how this small number supply all the seafood for the region (at least at the better restaurants!) Neatest part of the trip was watching the live auction market. Our guide Marta is from a “fishing family” so she was knowledgeable and also fun! I recommend this experience! This was our first experience after arriving in Barcelona. For us we enjoy the seafood and eating and so learning about how the industry works is fun. Biggest surprise is learning how few people are employed in the primary and secondary industry and how this small number supply all the seafood for the region (at least at the better restaurants!) Neatest part of the trip was watching the live auction market. Our guide Marta is from a “fishing family” so she was knowledgeable and also fun! I recommend this experience! Matt. Cristina was kind, interesting and knowledgeable! Her stories are insanely valuable, and so is her intimate relationship with the fishing community. I can’t imagine a better way to learn about the wholesale market, actual day in the life of a fisher(wo)man. Plus, you get to see firsthand which fish are freshest and in-season on a given day. I highly recommend this to anyone with any interest in the sea. Tsipora. A fantastic experience. Cristina's discussion on Barceloneta's fishing past, present and future comes to life when you are along the water's edge watching it unfold in front of you. It was a privilege to have access to areas that the public does not normally see Norman. This is exactly as promised, an intimate behind-the-scenes visit to the fishing docks and auction house with Cristina, whose family runs two boats out of Barcelona. Cristina is articulate, smart and passionate about sharing the world of the local fishermen with visitors. She's also developed a program to educate schoolchildren about the role of fishermen in this port city. Marty. This tour was a big hit with my family. Cristina is incredibly knowledgeable and really helps you get to know and understand the fishing culture of Barcelona. This is an authentic "insider" tour that lets you experience something truly unique. A high recommend for anyone interested to get to know more of real Barcelona beyond the tourist destinations. Katie. This tour gives a unique access and perspective on the local fishing industry in Barcelona. We live close to a fishing town at home, so this was very interesting! Cristina was happy to answer questions and flexible in her approach taking into account the different people in the groups and their interests. It was a really engaging experience. Rose.